Joe Browns Day Dreamer Blouse is rated 4.8 out of 5 by 5. Exclusive to us in sizes 20-32. 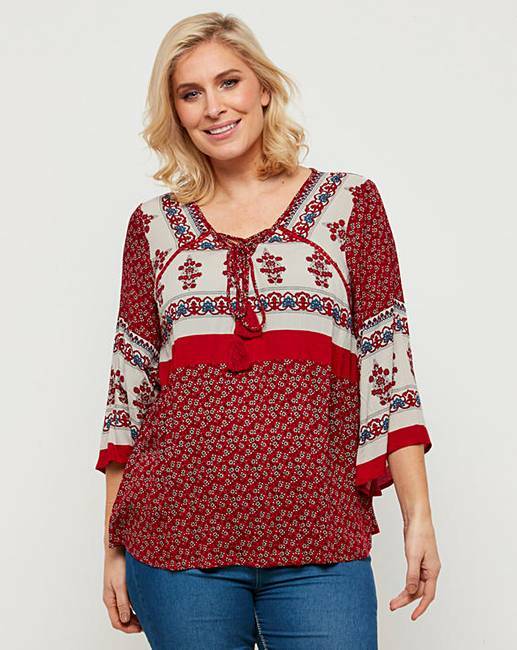 Whether you're away on holiday or simply heading out for a catch up with friends, this pretty top, with it's gorgeous mix of print and lace trims, is just packed with summer charm. Rated 5 out of 5 by Modesty from Wow Stunning blouse, gorgeous colours: just perfect! The style is extremely flattering. Rated 5 out of 5 by Jodie from Lovely top So pretty and comfortable to wear ! Colours and fabric are excellent. 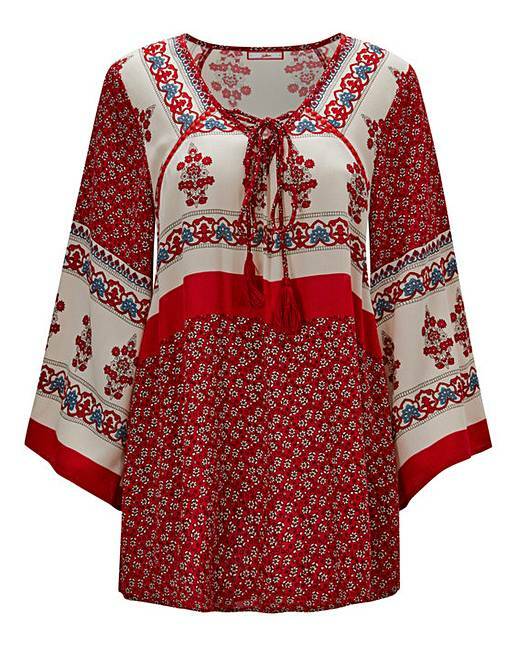 Rated 4 out of 5 by June from Lovely blouse Reminds me of the clothes I wore as a teenager in the 70's, brilliant, love it! Rated 5 out of 5 by Sammyjo110 from Great fit, love the design The blouse has a lovely design. Fits me perfectly. Ideal for any season.